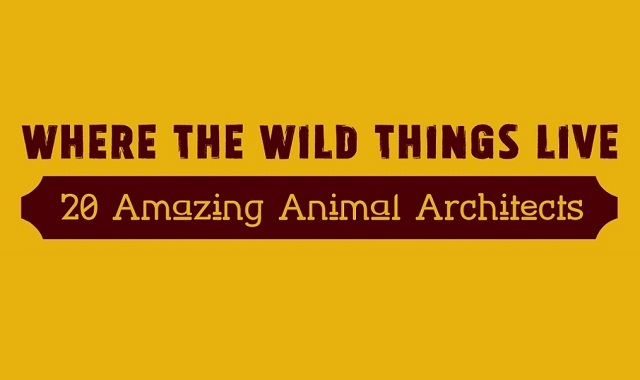 Where the Wild Things Live: 20 Amazing Animal Architects #infographic ~ Visualistan '+g+"
Just like humans, some animal species have developed into incredible and resourceful architects. They work with their environments to create structures for protection, reproduction, safety, and survival. These remarkable adobes are constructed from a wide variety of natural and man-made materials, from pebbles and bottle-caps to their very own saliva! This infographic sheds some light on the clever and resilient building behaviors of species all across the globe.